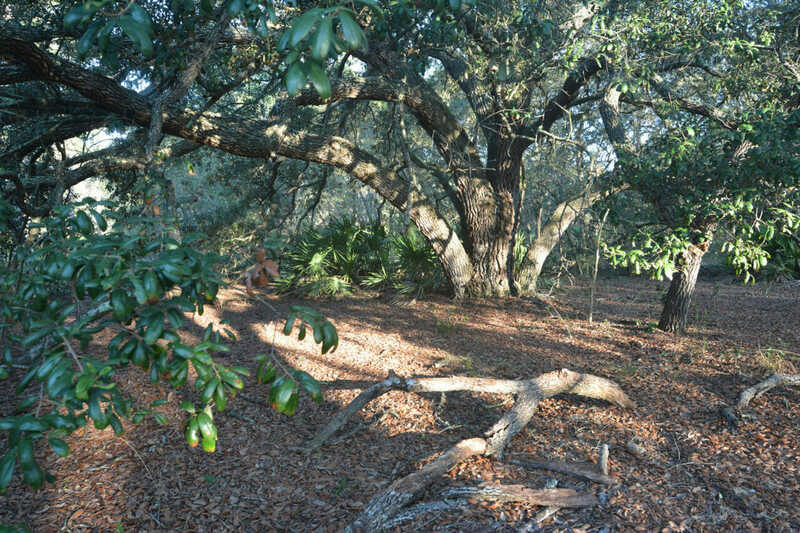 Hiking Annutteliga Hammock | Florida Hikes! 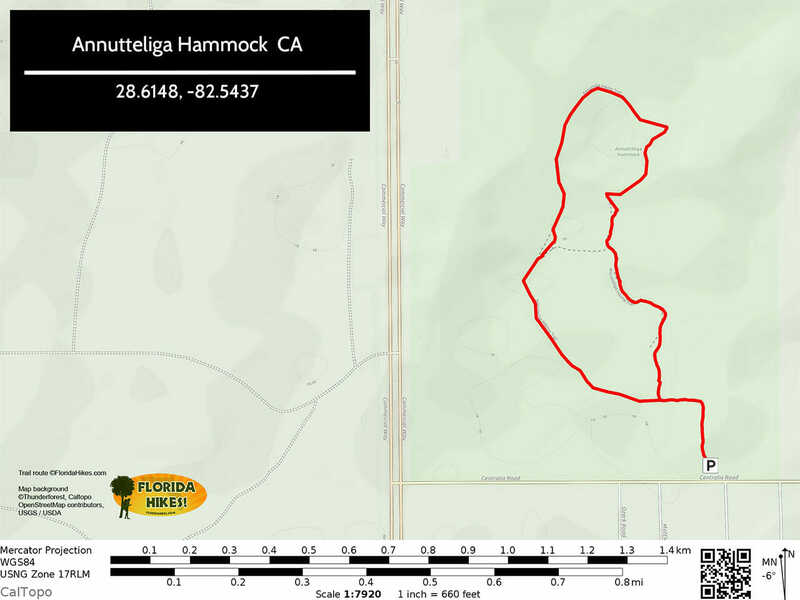 Buffering Chassahowitzka WMA and considered an extension of it, Annutteliga Hammock Conservation Area protects 570 acres of sandhills and scrub. Open daily from dawn to dusk. Day use only. 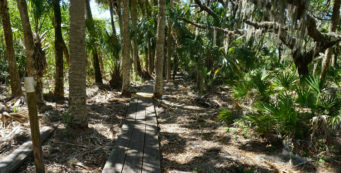 The trails here are built for equestrian use, so not all surfaces are optimal for hiking: there are some sections of deep soft sand and several wetland crossings. On the north side of Centralia Road just east of US 19. 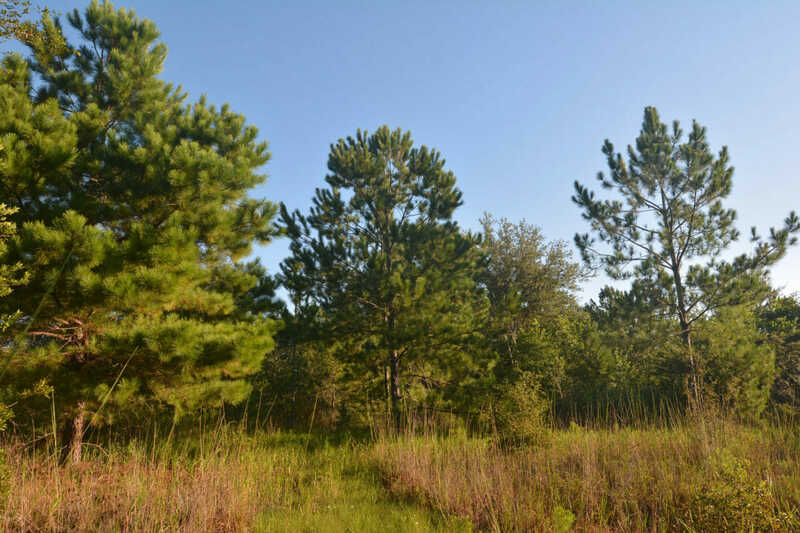 Although the preserve has 8 miles of marked trails, they are optimized for equestrians. 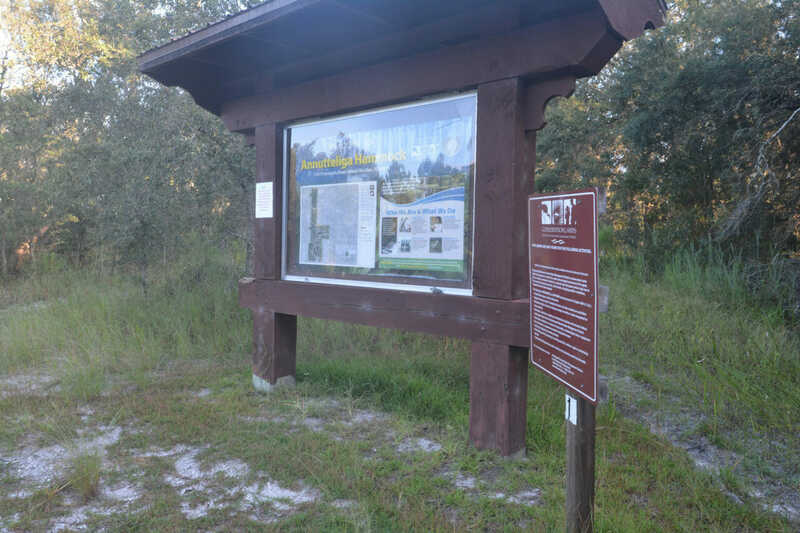 The south end of the preserve offers several loop possibilities from the trailhead. All follow a portion of fenceline, but focus on the prairie ponds at the heart of the preserve. From the trailhead, follow the white diamond markers north along a property boundary fence through the sandhills. The trail turns west and comes to a junction along the fenceline. Turn right. After passing through an oak hammock canopied by sand live oaks, the trail works its way along the west edge of a large wetland before reaching the central prairie in the sandhills in the middle of the loop. 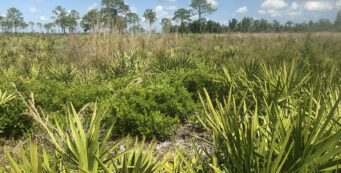 Several prairies with ephemeral wetlands dominate the south end of the preserve, so this is where you decide how wet you want to get on your hike. We turned around when the water crept all the way across the trail, for a 1-mile hike. The prairie complex and oak hammock were the highlights for our hike. 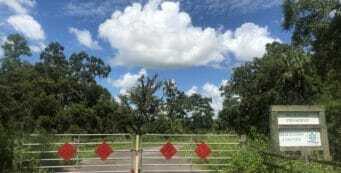 While it’s possible, according to the preserve map, to loop back to the parking area along the fenceline on the east side of the property to the trailhead, it makes more sense – when dry – to loop around the prairie ponds, netting a 1.5-mile hike. 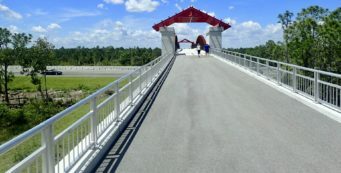 Alternatively, an unmarked cross path spans the south side of the prairie. 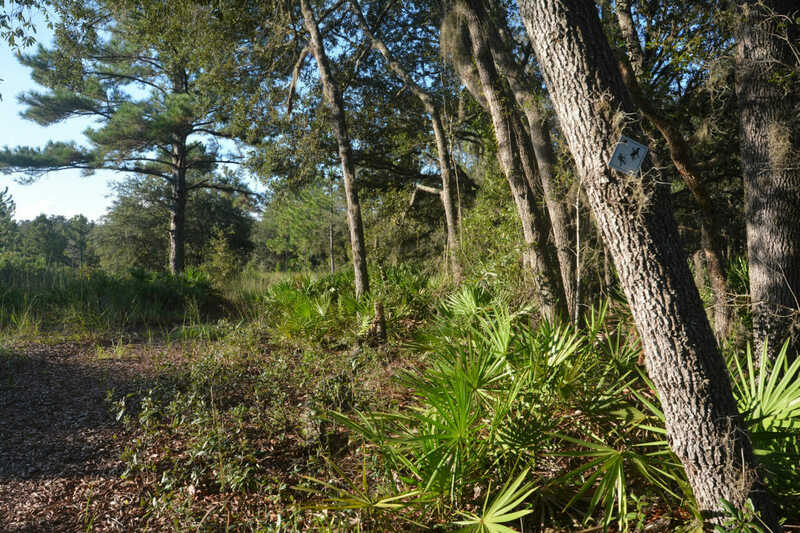 Use it to loop south around the oak hammocks to the prairie ponds at the south corner of the preserve for a 1-mile loop.